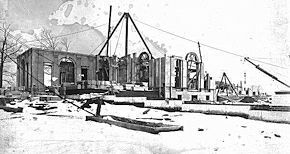 Horace Trumbauer, Whitemarsh Hall (Wyndmoor, PA: under construction, 1917.03.09. 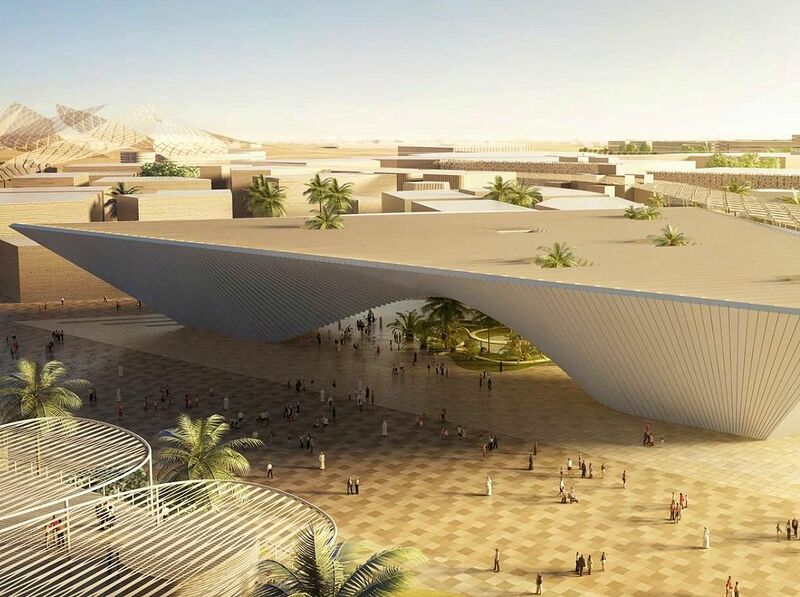 I had no idea Herzog & de Meuron were working on a design for the Parrish Art Museum. ...the plan also reminds me of random tangents. 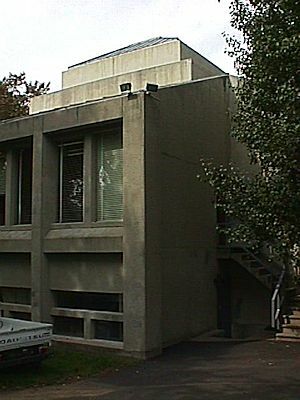 The original shape of the building remained discernable. It was not like a corpse whose fragments had been mercifully scattered; it was like a corpse hacked to pieces and reassembled. --Ayn Rand, The Fountainhead (1943), pp. 385-6. Is anyone reading Frascari's Monsters of Architecture these days? Are monsters merely crazy, mixed-up reenactments? Shock the architects themselves; that's where the real creative fun is. An over-flowing fount of inspirations, even. No, seriously, a struggle results in feeling tired, where as, something spontaneous and quick, wakes you up. Virtually all architects are highly proficient at generating sticker-shock architecture. Giovanni Antonio Canaletto, Capriccio Palladiano, (1753-59). Canaletto's "Capriccio" painting and Rossi's notion of an analogous city here inspire the notion of an analogous building. Like the painting, the new "building" is a composite of pieces that, although not related programmatically, share a formal commonality. The example here incorporates parts from three distinct architectural projects: Louis I. Kahn's Hurva Synagogue, Stirling & Wilford's Museum for Nordrhine-Westfalen, and Le Corbusier's Palais des Congres. 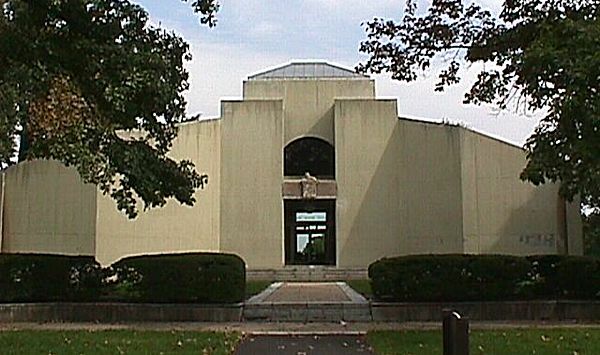 The pavilion-like synagogue replaces the entrance pavilion of the museum, and a merger takes place between the main "box" of the museum and the "box" of the Palais. The resultant "building" appears familiar yet altogether new at the same time. Moreover, such a recombinant analogical approach to building design suggests a potential linkage within and among modern architecture's otherwise overwhelmingly diverse stylistic pluralism. "After I wrote this book and from the concepts I postulated in it, I outlined the hypothesis of the analogous city, in which I attempted to deal with the theoretical questions concerning design in architecture. In particular I elaborated a compositional procedure that is based on certain fundamental artifacts in the urban reality around which other artifacts are constituted within the framework of an analogous system. To illustrate this concept I gave the example of Canaletto's fantasy view of Venice, a capriccio in which Palladio's projects for the Ponte di Rialto, the Basilica of Vicenza, and the Palazzo Chiericati are set next to each other and described as if the painter were rendering an urban scene he had actually observed. These three Palladian monuments, none of which are actually in Venice (one is a project; the other two are in Vicenza), nevertheless constitute an analogous Venice formed of specific elements associated with the history of both architecture and the city. The geographical transportation of the monuments within the painting constitutes a city we recognize, even though it is a place of purely architectural reference. This example enabled me to demonstrate how a logical-formal operation could be translated into a design method and then into a hypothesis for a theory of architectural design in which the elements were preestablished and formally defined, but where the significance that sprung forth at the end of the operation was the authentic, unforeseen, and original meaning of the work." Aldo Rossi, "Preface to the Second Italian Edition," in The Architecture of the City (Cambridge: The MIT Press, 1982), p. 166. Canaletto's "Capriccio," also known as a "vedute ideate," takes the notion of virtual place a few degrees further than the Renaissance perspectival views of "ideal cities." It is the merging of a real setting with foreign and imaginary elements that paradoxically both delineates and blurs the distinction between what is real and what is not, between what could be and what cannot be. As if from some other universe where parallel lines do intersect, the painting offers at least three degrees of "virtualness": first, an imaginary Venice furnished with buildings from another place entirely; second, the replacement of an existing condition (the Rialto Bridge) with an unbuilt design alternative for the same setting; and, third, a virtual museum, (albeit limited), of Palladian architecture. Canaletto has not only managed to depict an original virtual place, he has also adroitly manifested a fresh "view" of the human imagination itself. 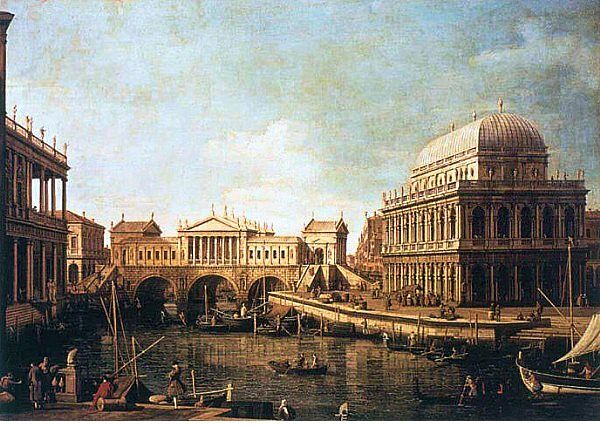 Rossi's association of the Canaletto painting with his theory of an analogous city continues to expand the imagination, suggesting an architectural theory based on the extraction of paramount architectural similarities from elements differing in structure and origin. Although it does not fit precisely within the usual definitions of "virtual architecture," Rossi's theory, especially when seen in conjunction with Canaletto's paintings, nonetheless, presents a new twist to the currently popular themes regarding virtual reality and architecture. "What's the address of the Nurse's office in Ambler?" "Mr. Venturi said it's better now to just look at the pictures." Went to Ambler, found the building, and took my own pictures (of the current condition) anyway. Venturi and Short, Headquarters for the North Penn Visiting Nurses' Association (Ambler, PA: 1960-63). 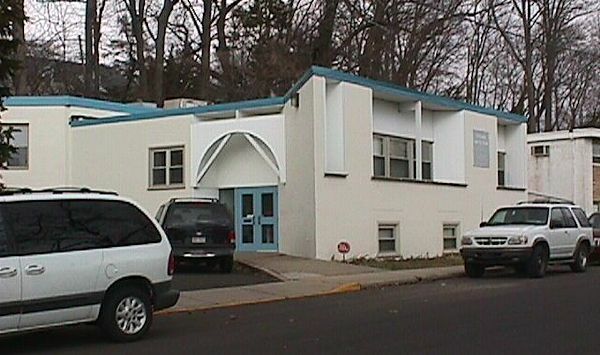 Noticed today that the Headquarters for the North Penn Visiting Nurses' Association and Mitchell/Giurgola's Administration Building, Academy of the New Church were both built in 1963. A schematic design of the Giurgola building was featured within the Progressive Architecture "The Philadelphia School" article (1961), and the Nurses's Headquarters is essentially Venturi's first constucted building. What's interesting now, however, is that both buildings share distinct commonalities that I never noticed before. 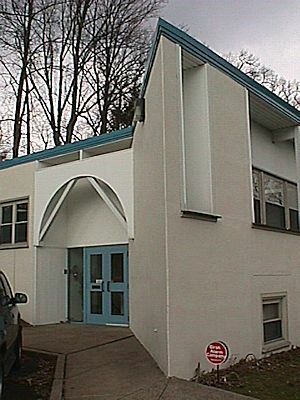 There is the 'zoot' (the 45 degree angled wall) adjacent both entrances, as well as a arch over the doors. Plus, Venturi's play with window scale on the side wall seems to be a riff off of Giurgola's side wall.